This reconstructed barn serves as venue for outreach and education programs for the community. 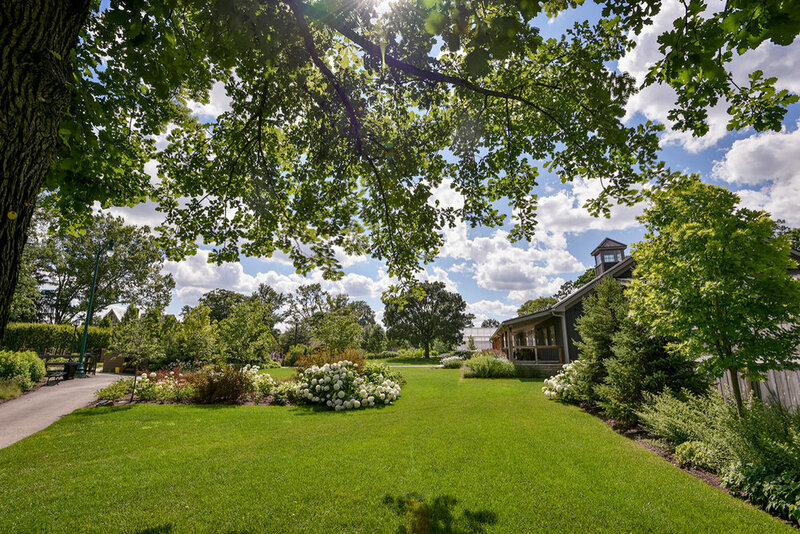 The new 12,000 square foot Wells Barn facility at the Franklin Park Conservatory provides a dedicated space for the Conservatory’s expanding outreach and education programs such as gardening, cooking, art, and wellness classes, as well as space to accommodate conferences, lectures, performances, and events. The hand-hewn timber frame from a 200-year-old Richland County barn, was relocated to the Conservatory’s grounds and reconstructed as the framework for this new facility. The barn was carefully sited to become an extension of the existing community garden campus. Old growth trees were retained and the grounds were designed to provide visitors a country estate experience within the city, just two miles from downtown Columbus. Central doors on the south side of the barn lead to the covered porch, new lawn, native plant gardens, and a major axial walkway through the adjacent existing community gardens campus. MKSK provided all site design, donor signage, and illustrative renderings for donor support, to realize this new cultural addition to the community.